Cruising through seven innings, Henry Owens’ was proven human in an abrupt eighth that saw the Potomac Nationals score six times, enough to shock the Salem Sox in the stunning series opener at LewisGale Field. A controversial call, a rising pitch count, and a gargantuan grand slam from Kevin Keyes all conspired to help Potomac surpass Salem 6-4 in front of 5,693 fans, the largest crowd at LewisGale Field this season. Owens extended his unbelievable hitless innings streak to 19.1 consecutive frames until Cutter Dykstra blooped a single in the fourth, and the lefthander took a one-hit shutout into the seventh before the Nationals handed him his first loss since July 5. The climactic inning began with Salem up 3-0, and Caleb Ramsey lofted a flare down the third base line which became a double when it landed over Stefan Welch’s head. Welch thought that it was a foul ball, and Salem Manager Billy McMillon vehemently argued that the ball landed in foul territory, but plate umpire Morgan Day stayed with his initial call, giving Ramsey a leadoff double against Owens. Cole Leonida followed with a ground ball single to left field, and Randolph Oduber lifted a shallow fly to center that narrowly eluded the diving bid of Henry Ramos, bringing home Potomac’s first run of the night and the first earned run against Owens is more than three weeks. With the Nationals within two, Francisco Soriano sacrificed the tying runs into scoring position. Owens picked up his seventh strikeout of the game by fanning Adrian Sanchez for the second out, but crossed over the 100-pitch plateau when he walked Michael Taylor to load the bases. After 101 pitches and seven and two-thirds, Owens handed the baton to reliever Matty Ott. Dykstra worked a walk to force in a run and make it 3-2, and Keyes absolutely pulverized the first pitch he saw for a grand slam down the left field line, transforming the one-run deficit into a three-run lead. While the final two runs were charged to Ott, Owens was responsible for four of the runs, tagging him with the loss despite an unreal performance through seven. His final line included four runs on four hits and three walks, with seven strikeouts and 101 pitches over seven and two-thirds innings. He retired the first eight batters of the game before issuing a walk to the number-nine hitter, and he pitched with an amazing efficiency that had been lacking in his previous outings. He entered the eighth at just 78 throws, but the tough call and the ensuing offense became his undoing. 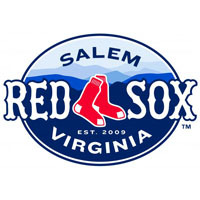 Salem also has its offense to blame, for the Sox twice stranded the bases loaded and left 12 men on base in the game. Blake Swihart and Mookie Betts delivered RBI singles in the first, while Matt Gedman and Keury De La Cruz each crushed solo homers in the fourth and ninth innings, respectively. Alas, the Sox missed too many opportunities to weather the half-dozen runs Potomac accumulated in the top of the eighth. Colin Bates earned the win with two scoreless innings of relief for the Nationals, while Robert Benincasa earned his 10th save of the season, tying him for the Carolina League lead. Owens fell to 8-5 on the year, with the earned runs against him in the eighth inning snapping a 26.2 innings stretch without allowing an earned run. It’s hard to say whether that marathon is more or less impressive than the 19.1 innings streak without permitting a hit. Despite the bumpy beginning and ending to the month, Owens finishes his July with a 2-2 record and a 2.96 ERA, yielding just 13 hits in 27.1 innings, a .141 opposing batting average. In June, Owens’ ERA was 1.71, albeit with a .182 average against. The Sox and Nats reunite on Monday with a pair of lefties prepared to tangle. Mickey Pena gets the ball for Salem opposite Potomac’s Matt Purke. First pitch is slated for 7:05.